The pairing of steampunk and the tarot is a perfect match. Like the tarot itself, steampunk looks to both the past and the future. 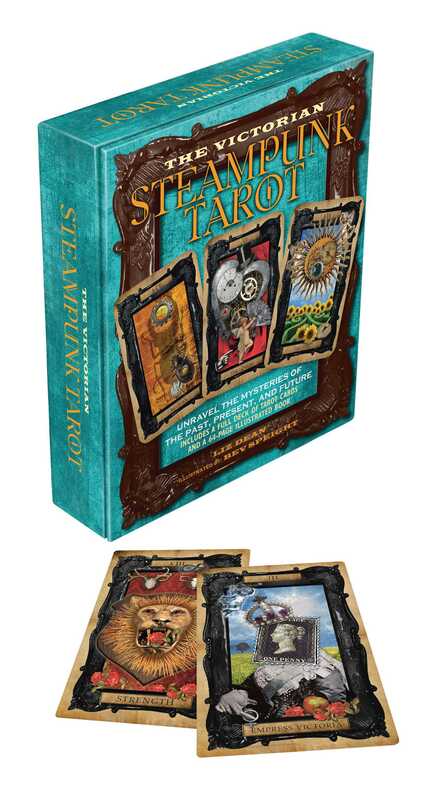 The Victorian Steampunk Tarot contains an insightful book and a full deck of 78 tarot cards, which can be used to explore the past, unravel the mysteries of the present, and predict the future. This innovative deck, which features illustrations by Bev Speight, is presented in a steampunk-style embossed box with lock mechanism. The Victorian Steampunk Tarot perfectly encapsulates the Steampunk spirit and will be loved by both tarot aficionados and beginners. In the accompanying book, best-selling tarot author Liz Dean clearly explains the meanings for all the cards and describes easy to follow layouts, which will allow readers to connect with the images, sparking their imagination and intuition.